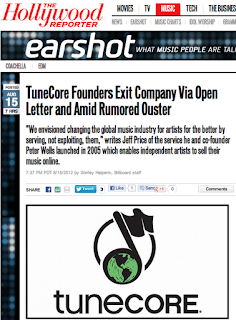 TuneCore CEO and co-founder quits! 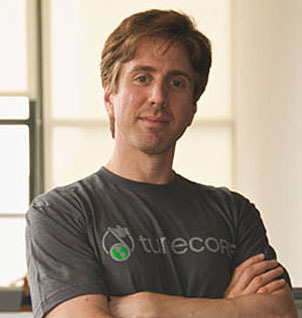 In some shocking news from THR, Tunecore CEO/Founder Jeff Price and co-founder Peter Wells have decided to quit TuneCore altogether! For those that don't know, TuneCore was one of the first digital distributors of music that offered digital distribution deals to independent artists, essentially placing their content in many of the same stores as major label backed artists. So, where will all the artists behind the 610 million+ songs TuneCore has posted now that the company is in a downward spiral? Well, ADEDistribution is probably the most viable option at this point. 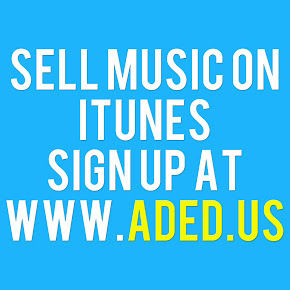 Not only are their prices cheaper ($5/month), they also provideo all artists that sign up their own artist page with EZ share buttons to help them promote their content across the various social networks.